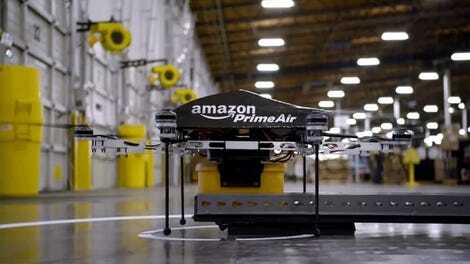 Have you seen that viral video of an Amazon blimp that deploys delivery drones? Twitter users are calling it “borderline dystopian” and “what the last human alive will see.” In reality, the blimp is totally fake, but that doesn’t make it any less scary. There’s still reason to be unnerved by what you’re seeing. 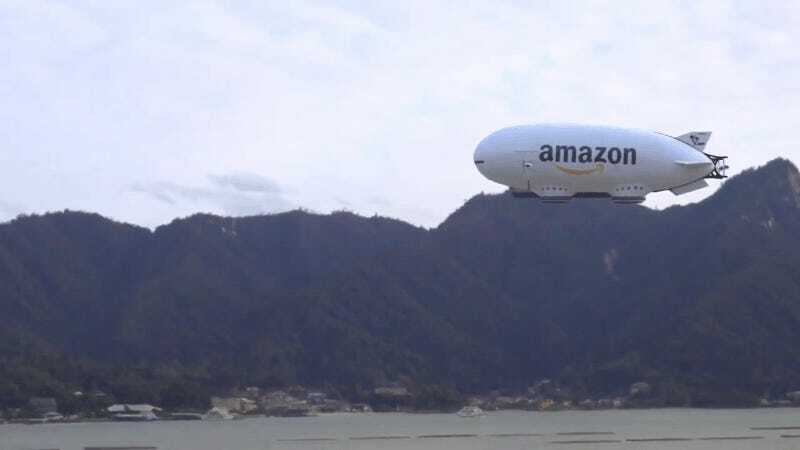 The fake Amazon mothership was created by a video production artist in Hiroshima, Japan who goes by the Twitter handle zozi009. As you can see from their renderings, the Amazon blimp and drones were created using nothing more than a computer. The Amazon blimp is theoretically supposed to act as an “aerial fulfillment center” that sends out drones for package delivery. The idea, according to Amazon’s patent, is to deliver goods to large groups of people who are in a relatively small area, like at a sports stadium or music festival. Amazon hasn’t attempted to build it, as far as we know. At least not yet. Another inspiration for the fake Amazon blimp appears to be a hybrid aircraft envisioned by American defense contractor Lockheed Martin. Amazon has been promising drone delivery for years now, which may explain why a handful of blogs seem to think that the blimp is real. But just to be clear, it’s completely fake. Not everyone is scared of the fake Amazon blimp though. Some people on Twitter called it the “first futuristic thing they’ve seen” in a long time. And while that might be true, it’s tough to see how a giant mothership equipped with drones will work out in the long term for humanity. Did you guys not see any movies in the 1980s and 90s? Or even just the TV show Electric Dreams? Humans aren’t necessary for our capitalist dystopia to continue. That blimp will still be flying around long after we’re all dead from a bad case of the skynets.